Carshow | From 17 to 27 September 2009 the Internationale Auto Ausstellung (IAA) opens its doors to the general public. This car show is amongst the most important in the world and is also a chance to see how the motoring industry is doing. Since previous shows this year had little to offer, the Frankfurt Motor Show presents a different picture. The all new Opel Astra, Hyundai ix35, Citroën DS3, Ford C-MAX, Kia Venga, Mercedes-Benz SLS, Skoda Superb Combi and Subaru Legacy are shown here first. Autozine reports from the good news show in Germany. The Internationale Auto Ausstellung (IAA) is not only one of the most important car shows in the world, it is also one of the largest. And the latter should be taken literally, because some brands don't just have a booth but take a whole building to show their products. So plan ahead, wear good shoes and take your time. The Vauxhall stand makes a good start to the walk because the most important debut of the year can be found here. The all new Astra (left on the top photo) is shown here first. Vauxhalls evergreen now features bold lines and offers the spec level of a luxurious company car. Whether the Astra drives as well as it looks will be found out mid October, because that's the date of the first road test. Vauxhall also shows the Ampera (left on the panoramic wide shot) in Frankfurt; an electric car with a small petrol engine that will be on sale as of 2011. Renault also bets on an electric future. 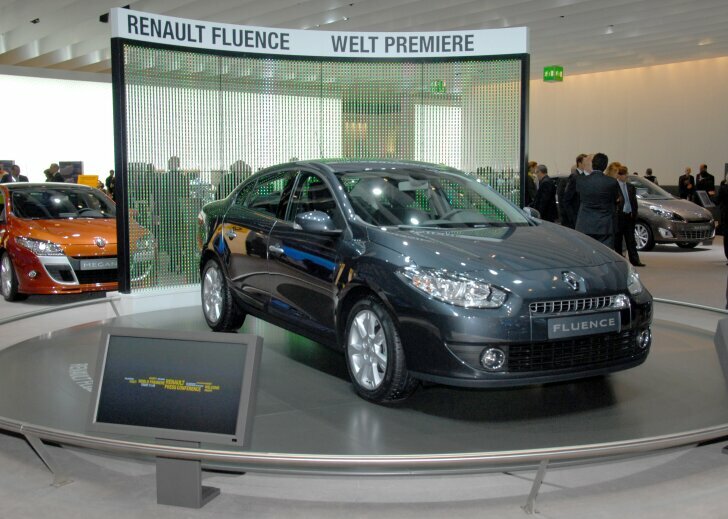 Besides four highly original concept cars, Renault shows the Fluence. This is in short the new "Mégane sedan". In 2011 Renault will build an electric Fluence. Big news at Ford with the new C-MAX. The car features the same lines as the Ka and Fiesta. The C-MAX will be available in two flavours: a five-seater C-MAX and a seven-seat Grand C-MAX (with a longer wheelbase and altered backside). 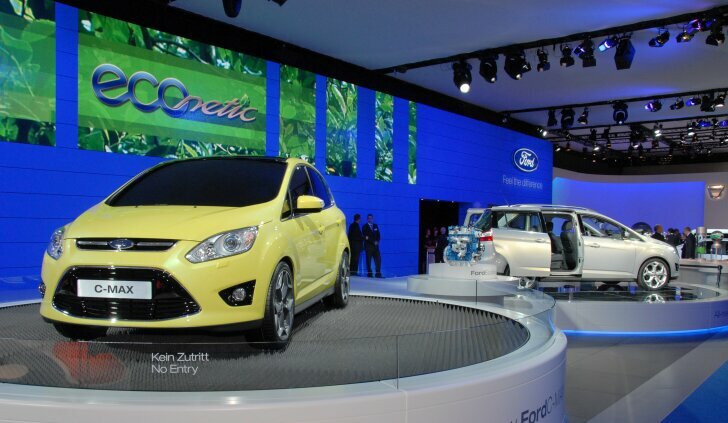 In the second half of 2010 both the new C-MAX and Grand C-MAX are expected in the showrooms. 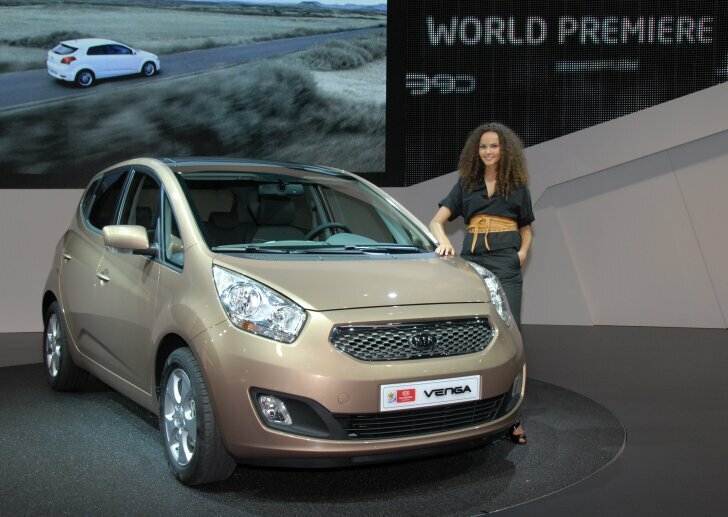 Kia also shows a new, roomy family car: the Venga. Kia doesn't just promise a low purchase price, but also low running costs thanks to high-tech engines. Every Venga is also fitted with a start/stop system. 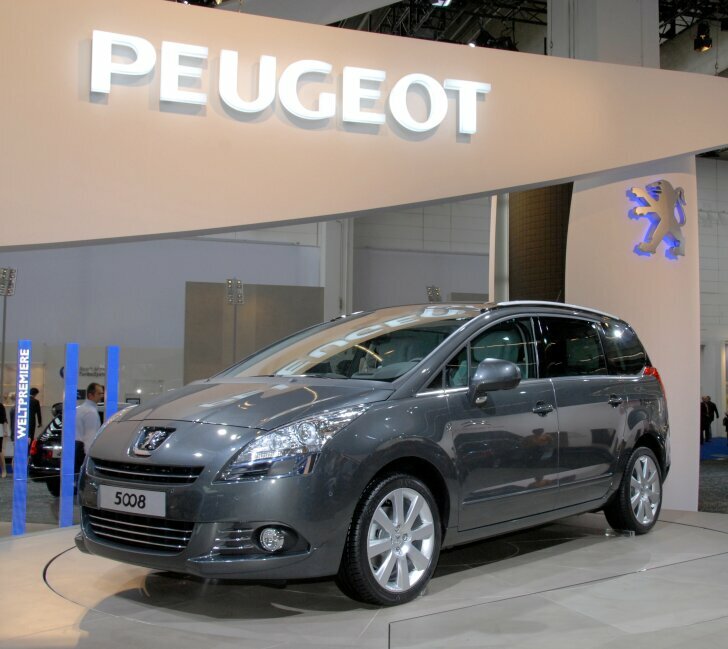 Centre stage at Peugeot is the 5008. This new MPV seats seven and succeeds the 807. A first road test can be found on this website mid October. 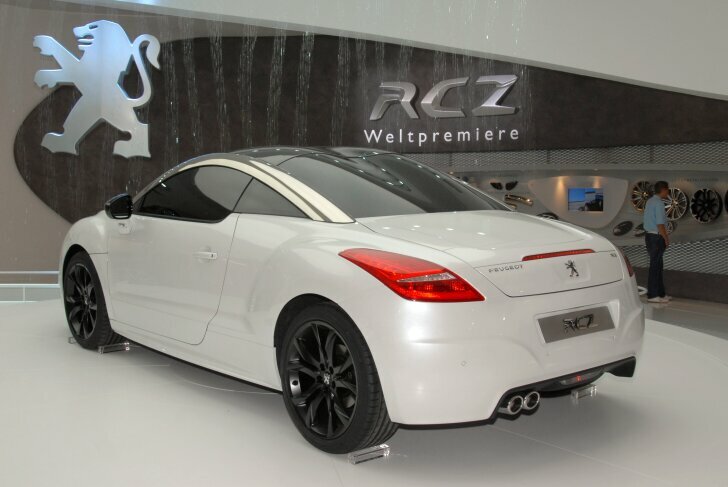 The exciting RCZ will actually be built and can be admired in Frankfurt in its definite shape. 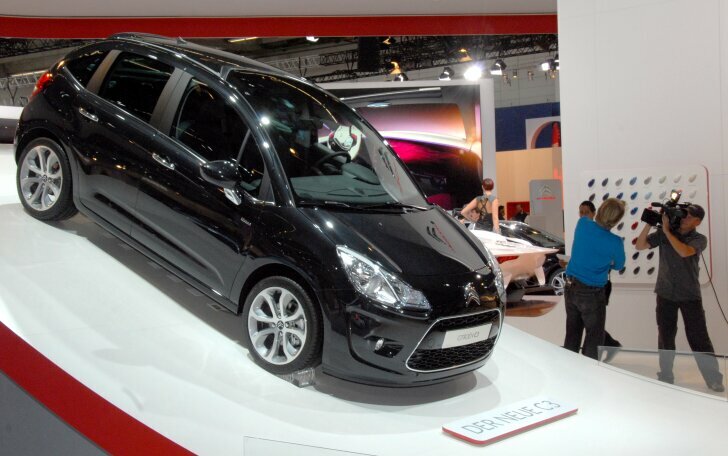 After many announcements, spy shots and promising prototypes Citroën finally shows the DS3. The car is highly customisable, so every example will have unique colours and specs. At the same time Citroën shows the well-behaved sibling: the all new C3. 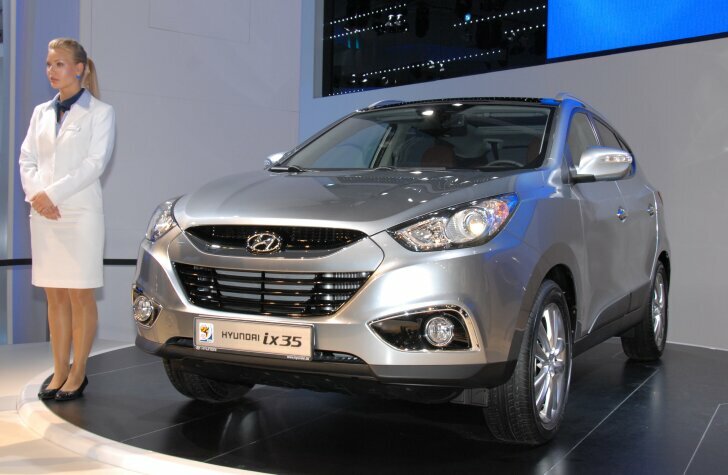 In April 2010 the Hyundai ix35 will replace the Sportage. Following the latest trend this new SUV will not focus on off-road capabilities, but is built for safety, handling and fuel economy. Skoda takes the next step with the Superb Combi. Knowing Skoda this luxurious and very large estate will cost less than a mid-sized car of most other brands. At the end of October a first road test can be found here; early next year the car arrives at the dealers. Subaru introduces the all new Legacy and Outback. Both cars look more modern and promise improved performance and fuel economy. 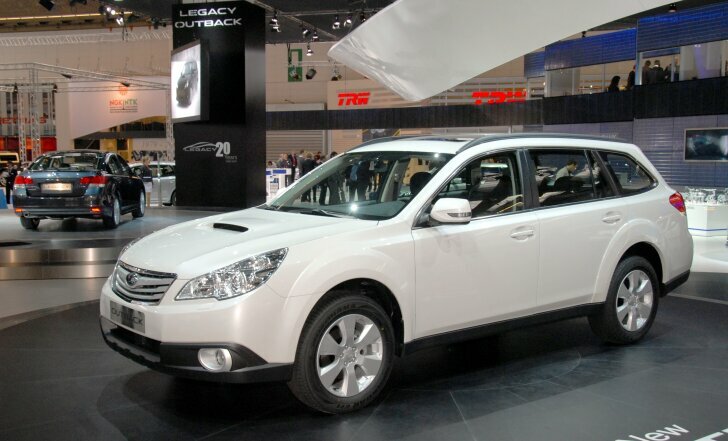 Of course this fourth generation of the Legacy also features boxer engines and four-wheel drive. By far the most exiting news comes from the Mercedes-Benz SLS AMG. This succeeder of the SLR McLaren has a 571 PS / 650 Nm V8 engine. 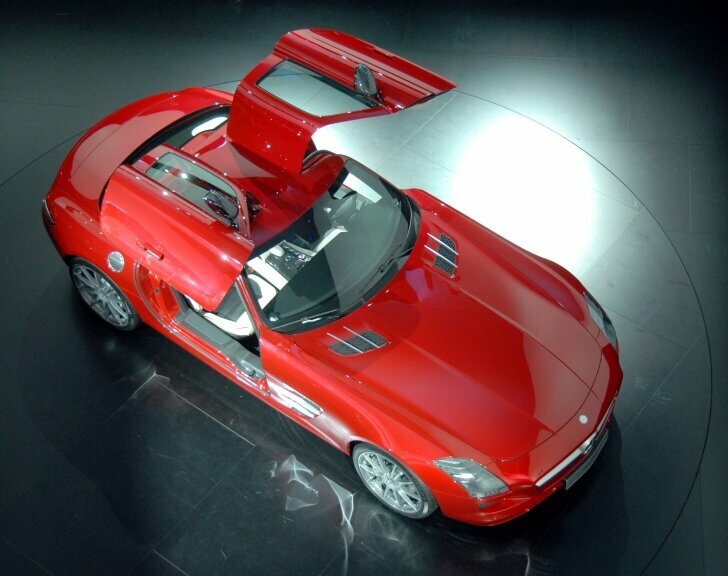 Thanks to a more clever building process, the SLS will be significantly less expensive than its predecessor. The design (with gull-wing doors) is a modern interpretation of the classic 300 SL. Those car makers that don't show new cars, bring facelifted models or new versions of existing models to Frankfurt. Abarth shows the fastest and most furious 500 so far. The Fiat has had such a radical facelift that it will be called "Punto Evo" from now on. The cabin has been redesigned completely. The front and back have been altered to look more modern. Although hardly visible on the outside, Toyota does present big news in Frankfurt. 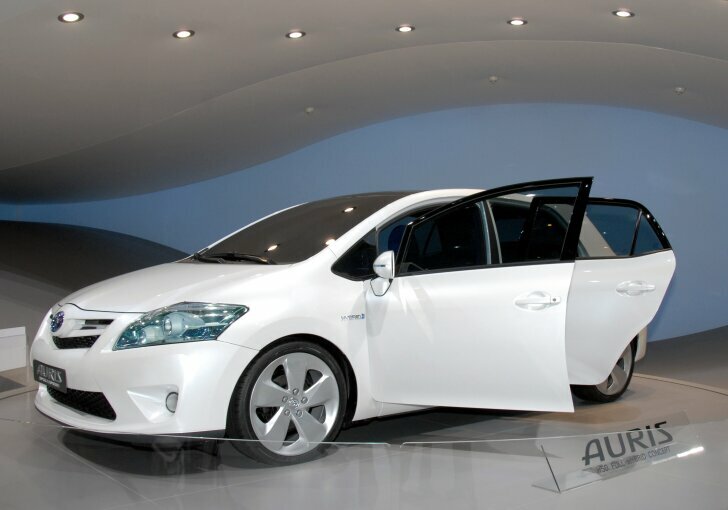 The Auris will be available with a hybrid engine. The well-known Prius will be available as a "plug-in hybrid", which means that the car can be charged at home. It will then be able to cover approximately 12.5 miles, after which the petrol engine will take over. 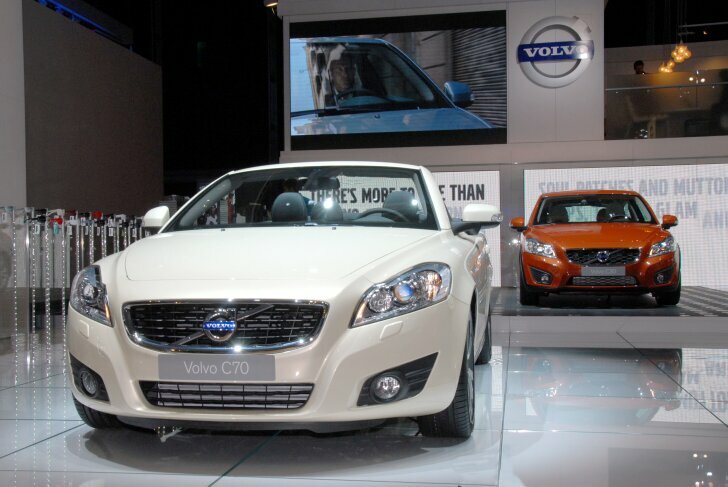 Volvo gives the C70 and C30 a new look. Their fresh faces are inspired on the XC60. The eagerly awaited S60 has been postponed for a while and is not on display at this show. Concept cars show what the future could look like. For example, Lexus is working on a compact base model that should still offer the same luxury and refinement as the larger models. 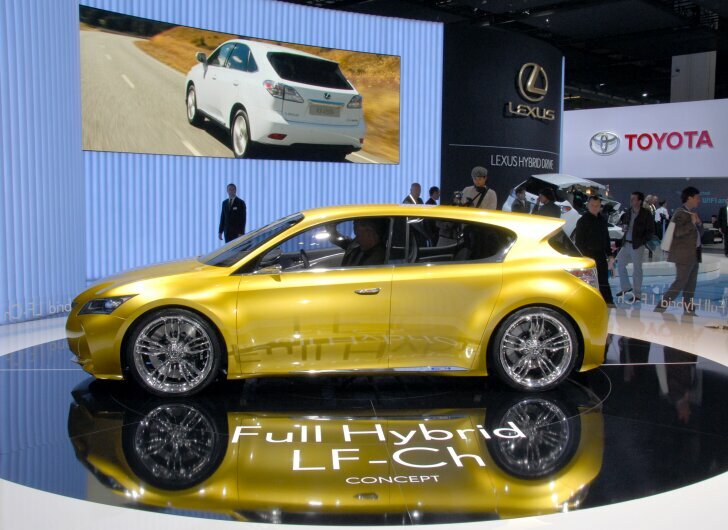 The "LF-Ch" will feature hybrid drive and therefore has a technological advance from the start. Volkswagen also works on small, economic cars but is more radical. The "Volkswagen L1" is a two-seater car that, as the name suggests, uses just 1 litre of diesel per 100 km. 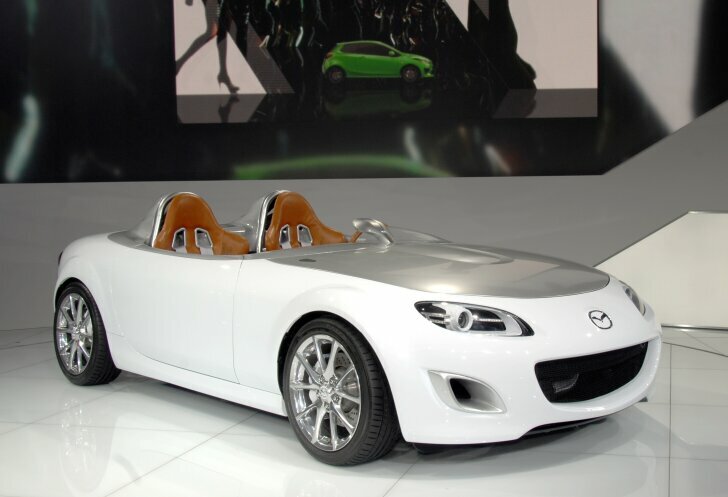 Mazda sees a more sporty future with the "MX5 Superlight". This extreme version of the world's best-sold roadster is supposed to offer a more intense driving experience. Whether or not the Superlight will go into production depends on the reaction of the audience. If there is one brand that shows success in Frankfurt it is BMW. This is (together with its arch-rival Mercedes-Benz) one of the two brands that has a whole building to itself. 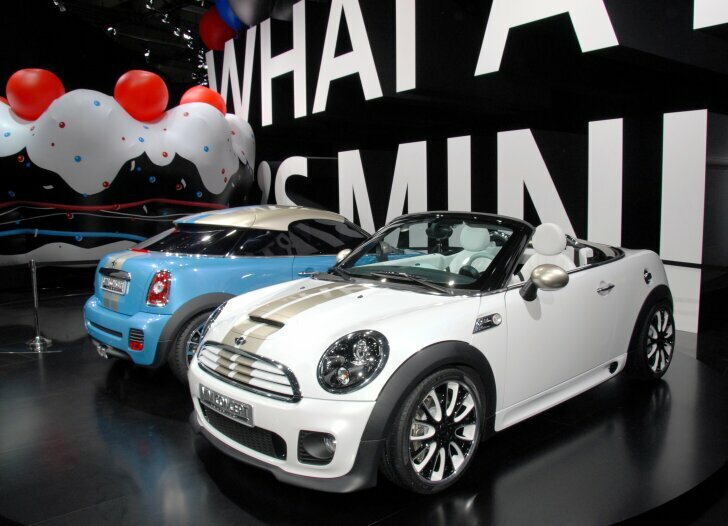 The ground floor is for MINI, which is looking for new ways to expand its range. Prototypes of the coupé and roadster are shown here. According to reliable sources both will actually be produced soon. BMW's display is so huge that it has its own road! On this road (classic) demo cars drive around, with passengers on special request. 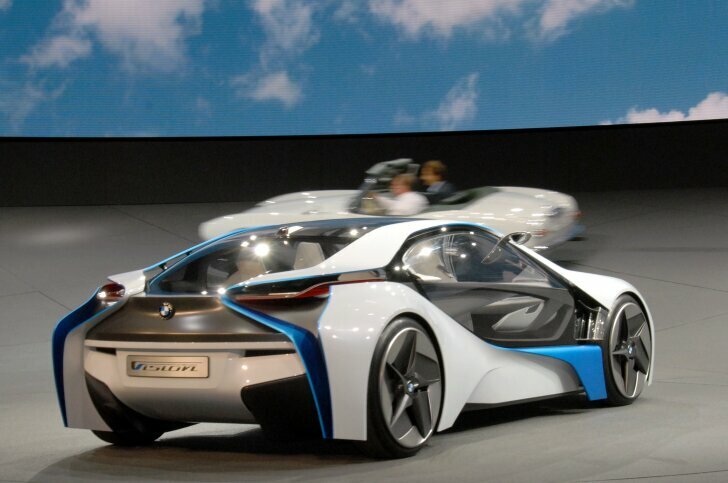 As a look into the distant future BMW shows the "Vision EfficientDynamic". This extravagant looking concept car is able to sprint from 0 to 62 mph in just 4.8 seconds (365 PS / 800 Nm) and still needs only 1 litre of diesel per 26 kilometres. The secret is in a small diesel engine that generates power for two electric motors. After many of the motor shows have only really shown sings of the depression, Frankfurt shows a different picture. Many car makers have adopted their strategies to a new future. Literally all brands focus on the environment. Instead of car makers bragging with horsepowers, they now compete for the lowest emissions. Thanks to the big number of debuts, facelifts and concept cars a visit to the IAA gives a feeling of hope. The motoring industry seems to have reinvented itself and is working determinantly on a new, clean future.